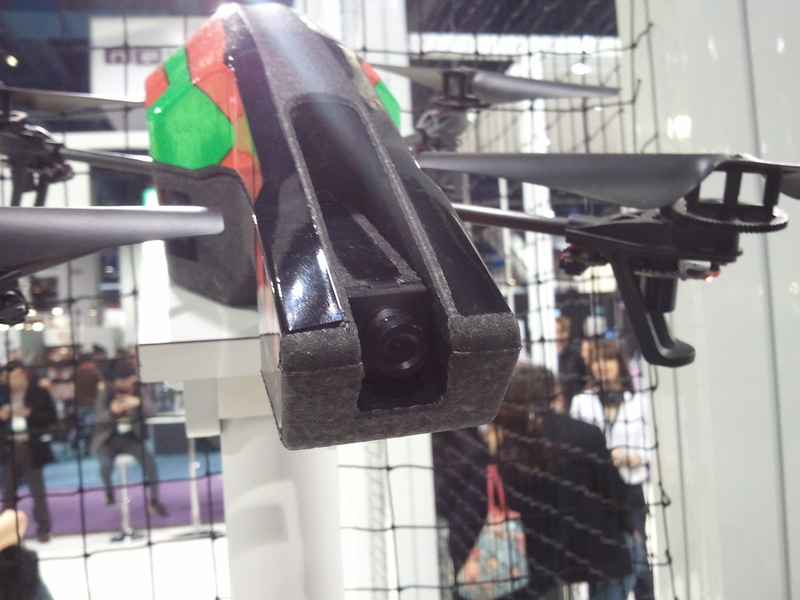 Walkera has made a huge name for themselves in the helicopter segment so a lot of people couldn’t wait to see how their quads would play out. Early versions were pretty good and they have continued to evolve the product with versions such as the MX400. 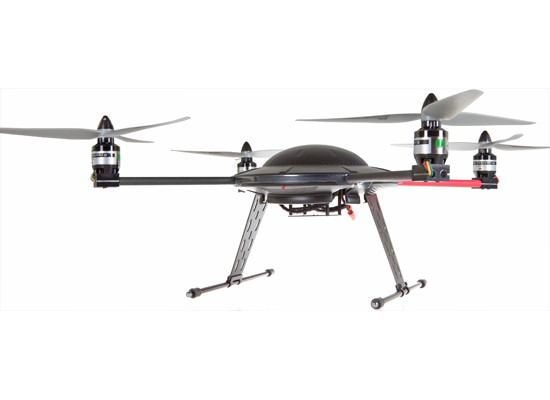 The MX400 is one of the very few quadcopters to come standard with 3-blade propellers. The props themselves have a keyed base to prevent slipping on the motor housing but this does mean finding replacements might be a little more difficult. Most resellers have said that replacement props are on their way and should arrive within the next couple of weeks. 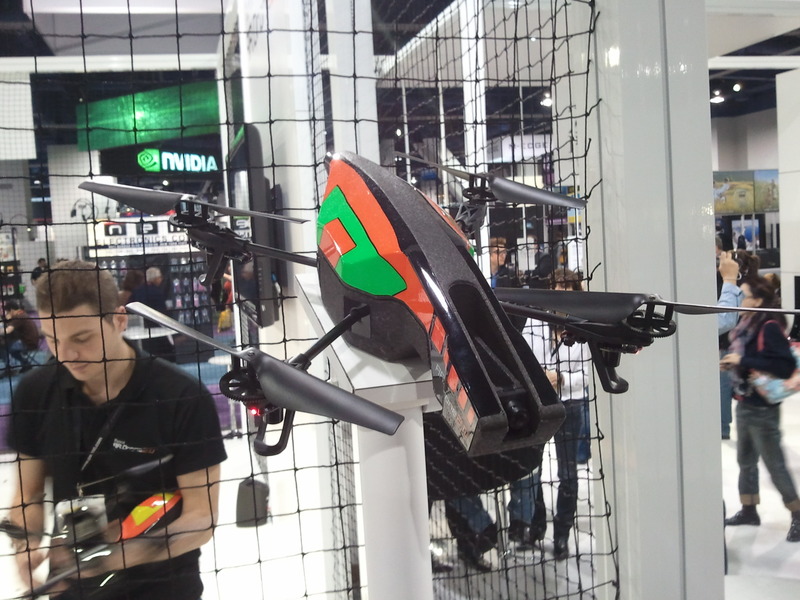 The Rotor Concept HPQ-1 is a big step up from the AR Drone in that it has a lifting capacity of a full pound. 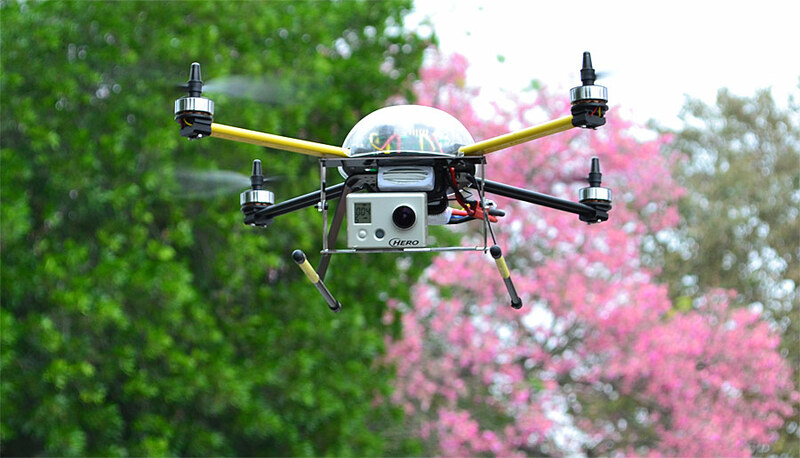 With a GoPro camera weighing only 3.3oz and even larger camcorders weighing in around between 9-14oz, the HPQ-1 can be used to lift a wide variety of small size gear. Their larger HPQ-2 can loft up to three pounds which is enough for small DSLR’s and Compact sized cameras. Rotor Concept was selling the HPQ-1 for only $299 instead of their regular $499 price and they were flying off the shelves (pun intended). 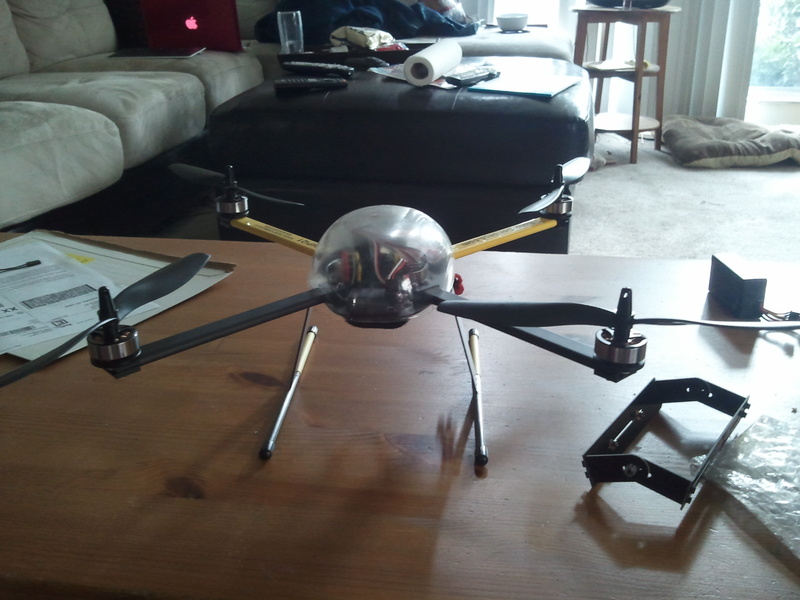 For a few extra bucks you got nice aluminum case with custom designed foam for the copter. If you are used to flying helcopters, this is dead simple to fly. If your only flight experience is with the AR Drone than you better have an experienced quadcopter or helicopter pilot take it up first and dial in the trim settings. Adding the GoPro made it a little front heavy which I easily trimmed out. I had to be VERY careful as I have a very small backyard so the video isn’t that interesting or impressive but she does fly easily (again, if you are used to regular helicopter controls). Flying for the first time, you probably will need to dial in the trim settings for it to take off straight and hover level. If you do not know what you are doing, I can’t stress enough that you should get some help with this Once it is dialed in, its pretty simple to fly. The left joystick controls the altitude and rotation while the right joystick controls the forward/back and left/right pitching and movement. You should start with an area with enough open space to allow for some moving around without smacking into trees or walls. Part of the CES special included a camera mount so my next test was to mount a GoPro camera on it. Below is the video from the GoPro, more info to come as I get more used to flying it and can take it somewhere that I can open it up.